"'A whiter shade of pale,' King said, 'a song that became popular in '68, words which you should listen to carefully, like a poem.' "
This quotation (in translation) is taken from the fascinating Dutch novel Quissama, written by F. Springer and first published in 1985. The story is about an elderly businessman, Charles Enders, who made a lightning career in South America. The board of managers, of the trading company he works for, sends him on a final mission. He has to conquer a new market: Angola, which recently became independent. In Luanda he meets King Velderman, a former businessman, who has a lot of important connections. Enders can stay with Velderman, who tells him in parts his personal history, especially his love affair with Pauline. She was an employee of the French embassy. He met with her in 1964 in Bombay and was infatuated by her, but shortly after she was transferred to Wellington, New Zealand. In 1968 the French consul general invited King on a trip to Angkor Vat in Cambodia. They prepared themselves as if they were going on a pilgrimage, but at their hotel they met two other guests: Pauline and her companion Marcelle. From that moment the temples were unimportant: they had eyes only for each other. The Americans at Auberge Royale des Temples, in Angkor, played that song on their tape recorders the whole blessed day. Whether they were walking through the temple estate or looking at the Bayon or plunging into the lugubrious vaults of Prah Khan, those Yanks took 'A whiter shade of pale' with them everywhere. So this became Pauline's and King's tune. Wherever they went and sat, everywhere that song rose from the groups of Bills and Marys, everyone with the same sticker on their bags and camera covers: 'Around the world in thirty days with Frank's Travelling Agency, Fort Lauderdale, Florida. The best there is!' "
King and Pauline got married. She resigned and he found a new job in Africa. On 11 November 1975 the Portuguese were driven out of Angola. From their penthouse King and Pauline watched the fall of Luanda as if it was a spectacular show and thereafter they had a passionate night. The next morning Pauline announced that she wanted to go to France. King stayed at Angola, waiting for her. 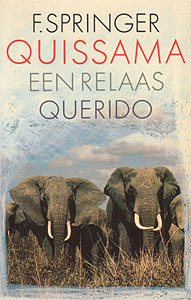 King has an inner urge to 'talk to the elephants', ie to visit Quissama, the Angolan wildlife preserve. Even though Enders can be invited any moment by the Minister of Industry to tender his quotation, he goes along. King prepares himself as if he is going on a pilgrimage, but at their camp they meet three other visitors: a Belgian oil engineer and his two girlfriends. Continuously they play 'Welcome to the Hotel California'. As from that moment King works himself to death to show the girls some elephants. He runs too many risks and is trampled by these animals. For my part I consider this statement to be a red herring; I suspect Keith Reid of having spoken tongue-in-cheek. Possibly he never read Chaucer, but did he never hear of him? I am ignorant about education in the UK, but I cannot imagine that The Canterbury Tales never are mentioned in British classrooms. 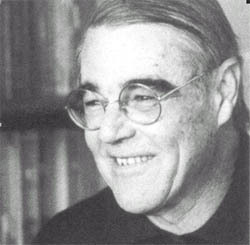 But even if Keith Reid did not intend to refer to one of the best told stories in West European literature, the only thing that matters is that 'as the miller told his tale' can be regarded as such. And Springer does so. On 19 November 1998 I met with the author (his real name is Carel Jan Schneider and he was a diplomat; he served the Netherlands amongst other countries at Angola and Bangladesh) and spoke with him about this issue. We agreed that there is a link to Chaucer - without a doubt. In the novel it turns out that the 'tradesman' only told a tale. Pauline doesn't exist, neither does King. Enders has let his imagination run away with him. He is a pioneer, an adventurer, who has a loathing for the new way in which one should trade: rationally carrying out a business policy prescribed by newly-graduated office managers, who regard computer outputs as sacred. King is the businessman Enders has been, but this pioneer-adventurer is out of time, he is no longer viable: in the end there came an elephant with a long trunk which 'blew out the story', as a Dutch phrase goes. The businessman transforms into a storyteller. The whole story appears to be made up of snippets of art. Quissama is full of references to pictures, movies, music, sculpture, dance and literature. AWSoP is one of these references, but what's more: precisely this poem is used to draw the reader's attention to this way of constructing an imaginary world.